Blackwater Charters specializes in Inshore fishing charters and Duck Hunting on the bay. 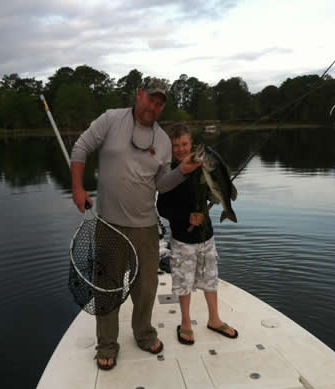 We also offer Freshwater fishing and Scalloping trips. Located in Sopchoppy Florida, we fish all the surrounding waters including St Marks, St George Island, Apalachicola Florida, Alligator Point, Shell Point, Panacea,Mashes Sands and all the pristine waters from St. Marks to Port St. Joe Floridaincluding the Ocklocknee River, Wakulla River, Lake Talquin, and Lake Seminole.